CAP-HAÏTIEN, Haiti–The shadow of a massive fortress appeared in the jungle at an elevation of 3,000 feet. It was the most amazing thing I had ever seen. Mr. Jolibois, director of ISPAN, a government agency that oversees heritage buildings in Haiti, was driving his ATV on the 200-year-old cobblestone trail that led up to the Citadel. The trail was filled with steep twists and turns and bumps. Antoine, ISPAN staff member, and I were in the back of the ATV, hanging on for dear life. I had better not let go of my grip, I thought, or I would fly out and fall off a 2,000-foot cliff. 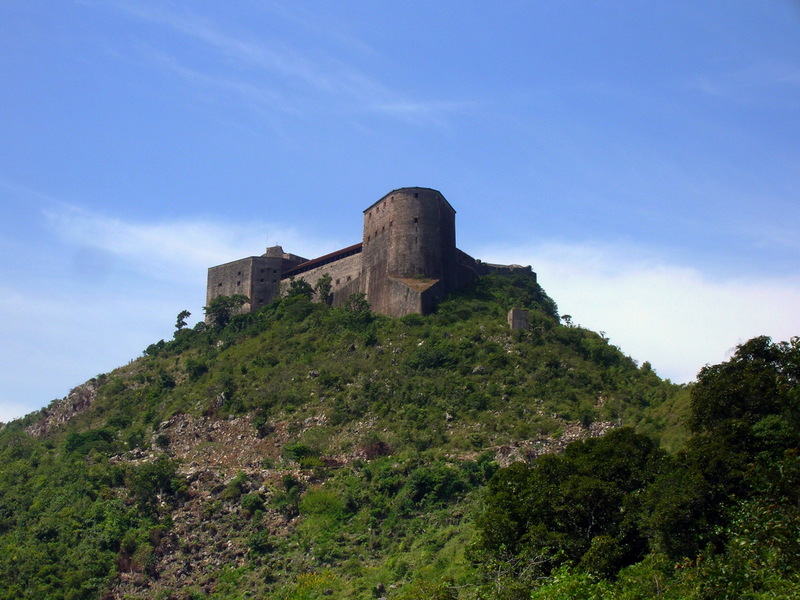 The Citadelle Laferrière, the “Citadel,” is considered by some to be the eighth wonder of the world. It was built under the reign of Haitian King Christophe after the country’s independence from slavery and the French in 1804. The Citadel took 16 years to construct. Back in the 1800s, its mere presence was such a strong deterrent that it never had to be used to actively defend Haiti. The Citadel is the largest fortress in the Americas and has been designated as a World Heritage Site by UNESCO. Miyamoto International engineer Bob Glasgow and I had been joined by Mr. Jolibois and Antoine from ISPAN at the busy Port-au-Price airport early in the morning. It was unbearably hot, and filled with people who were scrambling to be at the front of the line. 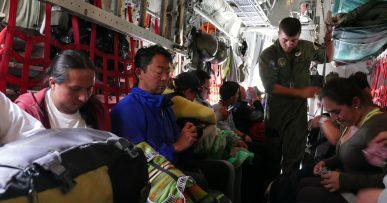 Our group hopped on an old Czech-made puddle jumper to Cap-Haïtien. After our arrival, a short drive in a truck led us to the small town of Milot. Milot is at the base of the 3,000-foot-high Bonnet de L’Eveque mountain, which is covered with lush rain forest. 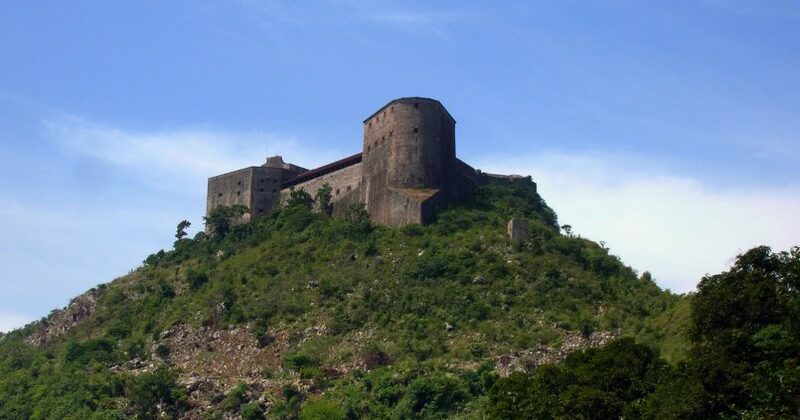 At its peak the impressive Citadelle Laferrière watches over the surrounding country. From Milot, our ATV zipped through small settlements and villages along the medieval-looking trail. Kids waved at us and yelled “Blanc!” as we drove by. Blanc means foreigner, slang from the French word for white. Most of these children were half-naked in the jungle heat, and some were playing music with carved wooden flutes. It was their job to entertain passersby for a few Haitian dollars. I love these kids. They are full of energy, and life. Mr. Jolibois is the best guide that one could hope for. He was trained in both Haiti and Italy in architecture and archaeology. 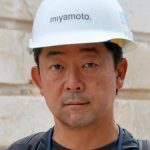 He, himself, had worked on the Citadel restoration a couple decades ago. This man knows more than Google could ever tell you about anything related to Haitian history, architecture, and archaeology. The ISPAN staff then led us into the northern tip of the structure, where some cracks were visible from the exterior. Our mission was to investigate these cracks and provide strategies for repair. The area was a triangular-shaped courtyard surrounded by four-story cannon battery chambers. Massive rusted cast-iron cannons were abandoned throughout those rooms. Many of the wooden supports had rotted away, but rusted cannons still remained in their original positions. As we were going into the dark chamber, I saw large diagonal cracks on many walls. Mr. Jolibois said that the cracks may have been there since the devastating 1842 earthquake that rocked Cap-Haïtien. I told him that the pattern, location, and shape of the cracks on the wall matched typical crack patterns that we had observed in similar walls affected by earthquakes. The location and size of the cracks made sense to us. The location and shape of the chambers were stress points and could have attracted most of the earthquake damage. We ventured out to the exterior of the massive rock walls. We didn’t see any sign of distress or movement on the outside. All the failures had originated from the 1842 earthquake. I have investigated thousands of structures damaged by earthquakes worldwide, but this was the oldest damage that I had ever encountered. It was over 170 years old! We recommended further investigation by 3D laser scan to map all cracks, then a round of testing and computer simulations. Quick steel shoring inside the chambers should be installed in case an earthquake hits nearby. Even a moderate earthquake could cause a major collapse in the weakened areas, which would be a tremendous loss of Haiti’s heritage. 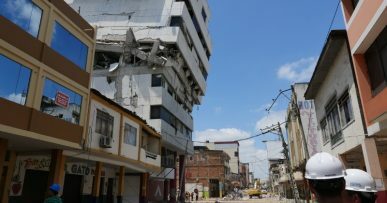 So many historic structures were already lost in the 2010 earthquake here, and we need to act immediately. A post-tensioned wall anchorage system and grouting are possible repair options. We plan to bring in our Italian team of experts in ancient monuments for testing and analysis, and a University of California, Berkeley, team for the laser scan. Protecting an important piece of world history like the citadel requires a real “A-Team” to get the job done; I am truly fortunate to be a part of this critical team. Haitian history is at stake. A dark cloud was forming overhead as the sun set. We hopped into our ATV again, and drove through a small village, where we were mobbed by kids, women, and men who wanted to sell us all kinds of artwork. There must have been at least 50 of these villagers surrounding our ATV. I don’t think that the other people in our group enjoyed these aggressive sales pitches much, but I did. I haggled a bit, and bought two flutes and two masks for my kids back in California. These souvenirs didn’t cost much, but I knew that the sales income would sustain a couple families for a few days. I think that the potential for a strong tourism industry in Haiti is limitless, and it would be a key ingredient for true independence from an economy that is dominated by foreign aid. Dusk was approaching. We drove our ATV to a small hotel by the sea. The place was truly beautiful, and lonesome. The waves were gentle, and stars filled the sky. As I was thinking about my young family in California, shooting stars danced across the sky. I wished that I was able to share this beauty. Haiti is a hidden treasure, which the world will soon discover. I simply love this place and its people.